New Style Gas Station, originally uploaded by cyberlucky. city (4)1, originally uploaded by budibudz. Second, we must put a stop to disappearing green areas in Jakarta. Green areas are an important urban element that can help make cities self-sustainable and more livable. Annual floods in Jakarta indicate an urgency for green areas in the capital, because they absorb rainwater and help to avert flooding. New homes, condominiums, malls, hotels and commercial and office buildings have proliferated in Jakarta over the last three decades. These new developments have come at the cost of green areas and have decreased water catchment areas, making the city more prone to floods. Not only will the conversion of gas stations into green areas add the green areas but also contribute in preventing annual floods in Jakarta. 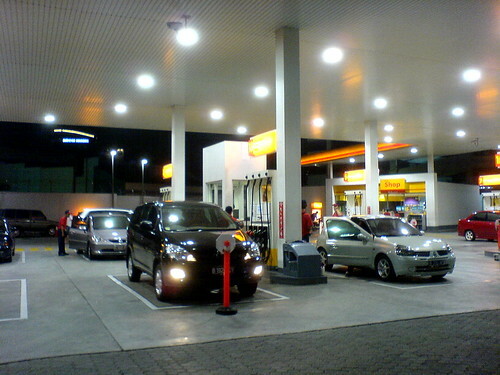 The cost of closing down and converting each gas station was around Rp. 75 million and I would argue that the benefit of the conversion of gas station into green areas will be much more than Rp. 75 million over the years. In addition to reducing the risk of floods, the new green areas will beautify and make Jakarta more livable. I would also suggest that the green areas that are close to residential areas be designed as recreation parks. The recreation parks will serve as a mode to build healthy, strong and vibrant neighborhoods and it will benefit the city even more. The conversion of these gas stations into green areas will also restrain the increasing city's carbon dioxide levels. The green areas can serve act as sponges for such pollutants. In sum, the decision of the Jakarta’s administration to close down the gas stations and convert them into green areas in order to comply with the Jakarta spatial plan is a good move and should be appreciated. Not only will this decision become a good precedent for implementing the spatial plans in Jakarta or even in other areas in Indonesia, but also will provide a lot of benefits for the city and its residents. Apa kabar, Deden? This is Allison, previously of Tally, now in DC. I saw your blog post from Inside Indonesia on Treehugger.com! Congrats, it looks like you are doing great writing! As I was looking over your blog in regards to my research and evaluation of the KIP program, I was wondering, do you believe the scale of slums are currently getting larger in Indonesia? Wow, nice. 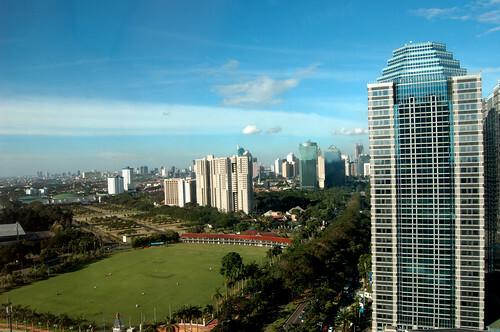 Jakarta is a bustling town, you can find shopping centres and luxury hotels. Most of the people are involved in plantation, they mostly use motorbike taxis and three wheelers for this purpose. Majority of people work in metal shops, small scale factories and vending food.